Pioneers in the industry, we offer bottle blowing machine from India. 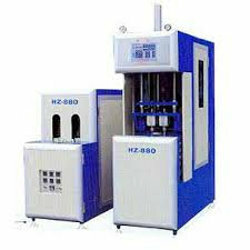 Owing to our vast experience, we have been successful in catering to the requirements of our esteemed clients by offering quality Bottle Blowing Machine. These machines are especially designed for the big volume bottles. Our range is manufactured at our state-of-the-art infrastructure facility employing advanced technology. Looking for “Bottle Blowing Machine”?